Marines are famous for their unswerving dedication and willingness to go wherever their presence is needed to defend American citizens. They use some of the most advanced weaponry and have a reputation for being highly disciplined and effective. 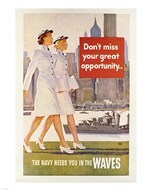 All these qualities are celebrated in the marine posters, with the artwork being available both on canvas and framed. Most of the marine photographs revolve around the people that make the naval infantry an elite corps, with the soldiers participating in missions all over the world. Those who plan on keeping things authentic will be instinctively attracted by the black and white images, and shift to colored marine posters when portraying their struggles in modern conflicts. Virtually anyone who has a dear one in the Marine Corps or has served in this elite group will appreciate the nice collection of marine posters. There are a couple of marine prints celebrating historical moments such as the fall of Iwo Jima, with these images being iconic. Equally impressive are those marine printings which feature the latest helicopters, light armored vehicle and aircrafts that the military relies on whenever the marines are summoned to fight. Setting up an entire collection from scratch is not that difficult and it is quite easy to keep things consistent with the existing decor.